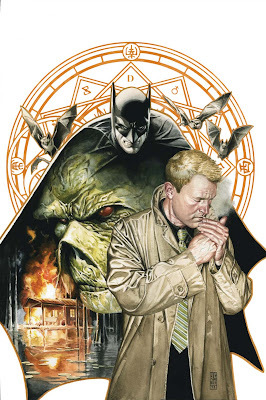 The Daily Zombies: John Constantine leads the DC Universe in "The Search for Swamp Thing"
John Constantine leads the DC Universe in "The Search for Swamp Thing"
The Hellblazer is back in the house... Just in time to join the DC Universe in "The Search for Swamp Thing". 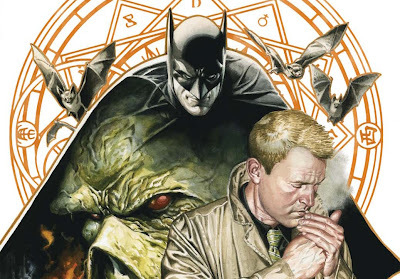 John Constantine, arguably one of the most recognizable staple characters of DC's Vertigo, has finally returned in the DC Universe at the end of Brightest Day #24. And now the infamous Hellblazer will be taking the lead role in "Brightest Day Aftermath: The Search for Swamp Thing", going against heavyweights like Superman and Batman in the search for Swamp Thing, who has recently merged with Alec Holland to become the Protector of the Earth. Head over to Comic Book Resources for an in-depth interview with writer Jonathan Vankin on the series and the direction of the mature-reader character in a family-friendly universe. In the meantime, hit the jump to check out Ardian Syaf and Vicente Cifuentes’ final cover for the first issue of the series, as well as J.G. Jones’ awesome variant cover work. 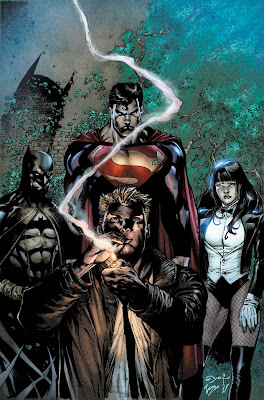 While this cover is decidedly ho-hum, I definitely dig the helpless look on Zatanna's face. The resident expect magician is so getting dethroned. PlayStation Network Returns...With Free Goodies! The Ambiguously Gay Duo goes Live-Action!